McCarter has invited public thoughts on the fact that the cost of Uhuru Kenyatta’s big four agenda is equal to the cost of corruption asking what each of us would do if we have a choice. “Just thinking this morning…If $ Cost of Corruption = $ Cost of Big4, don’t we have a choice? What will each of us do?” he tweeted. Kenyans in agreement over the alarming impact of surge of corruption noticed that even he who has not been in the country for long is already fed up with the crime. Good that you can shout on what predecessor @BobGodec kept quiet to. Apparently, he was a beneficiary of the vice. I think the ambassador is asking what can we do individually to end the vice….. going through the comments, acceptance of the vice and a clear hopeless in fighting it is apparent. It's like people are saying; "it's our way of life. There's nothing I can do about it." “We have no choice ambassador. In Kenya those in power, the deeply entrenched corruption protectionist networks created by those in positions of responsibility and power, override the choices we make, in short our choices are inadvertently controlled! That is Kenya for you!,”one replied. He added another tweet stating that the citizens of Kenya has been mistreated for long. I understand the desperation but this injustice has to come to an end and we must all do our part. The citizens of Kenya have been mistreated for too long. Amb McCarter had shared a post on his remarks during an event hosted by Kenya Editors where he spoke about the role of media in fight against corruption. In a rejoinder, McCarter affirmed to him that as the Ambassador, he intends to work with all stakeholders. McCarter mentioned: “I will work with all stakeholders in order to achieve peace, safety, and prosperity for both USA and Kenya. “Hon DP Ruto has the ability & position to deliver this. Besides if I only worked with perfect people I would be very lonely, staying at home everyday with my imperfect self,” he concluded. 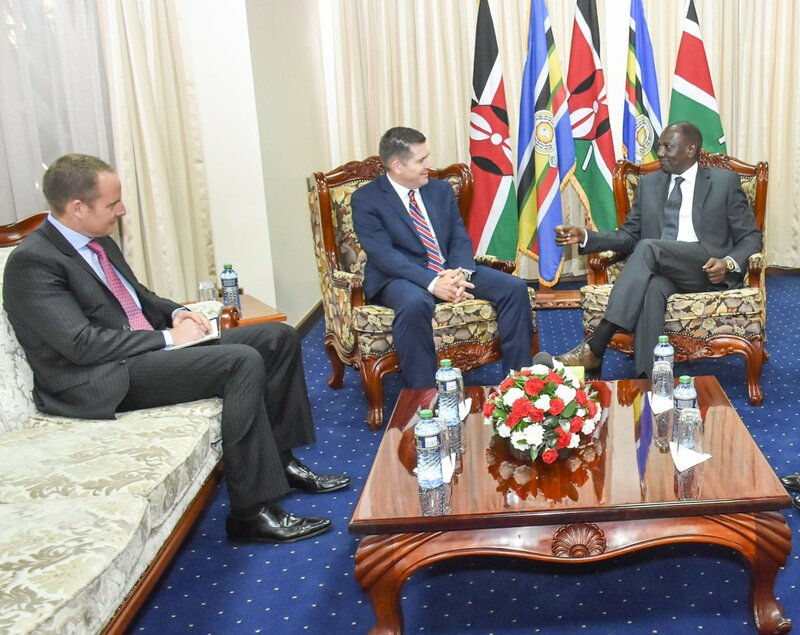 The post Amb Kyle McCarter challenges all Kenyans with corruption question appeared first on Kenya Today.